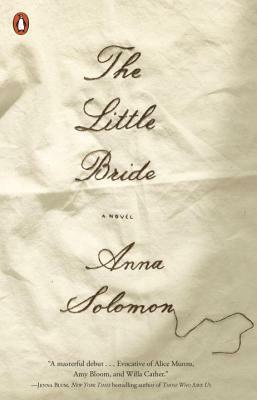 Anna Solomon is the author of Leaving Lucy Pear and a two-time winner of the Pushcart Prize. Her short fiction and essays have appeared in publications including The New York Times Magazine, One Story, Ploughshares, Slate, andMORE. Coeditor with Eleanor Henderson of Labor Day: True Birth Stories by Today’s Best Women Writers, Solomon previously worked as a journalist for National Public Radio. She was born and raised in Gloucester, Massachusetts, and lives in Brooklyn, New York, with her husband and two children. “A lush, gorgeous first novel. Immerse yourself in its world.” —Irina Reyn, author of What Happened to Anna K.